Exhortations to study are an important facet of Buddhist teaching. In the Pure Land tradition, there is a phrase “Study the Buddha’s Great Compassion.” There are three divisions in Buddhist learning, referring to the spiritual training in Precepts, Meditation and Wisdom. Over the course of Buddhist history each denomination or major stream of tradition developed its own scholarly traditions to explore the multitude of sacred texts and clarify significant Buddhist principles. They also established institutions to train monks and teachers. Among the earliest public schools in Japan is the Shugei Shuchiin (a School of Arts and Science) established by Kobo Daishi (Kukai, 774-835) in 828. Through the centuries, hosts of scholarly monks produced great commentarial texts, with commentaries on commentaries. The detailed discussions rival the reputation of European scholastics who focused on how many angels could stand on the head of a pin. For modern people, these efforts seem quite irrelevant to the important issues of the day. However, these studies and texts have supplied the insights and perspectives that nourished the spiritual meaning of Buddhism and the culture it inspired. Their insights are communicated through rituals and have permeated the general understanding of Buddhism. While such scholarly studies may seem far removed from the concerns of people’s daily lives, Buddhism also developed means for communicating its fundamental principles, values and ideals through parables, stories, metaphors, similes and a wide variety of poetic and prose literatures. The path for becoming a Buddha not only included mystical or spiritual practice, but worldly knowledge as a means to benefit the masses of suffering people and making Buddhist compassion real. Buddhism brought uplifting culture to the life of Asian countries wherever it took root. Gautama Buddha is portrayed as a physician because his approach to suffering in diagnosing the cause and prescribing a cure to human problems parallels that of a physician. To illustrate the Buddhist view of learning, in this essay we will look into the revered “Flower Ornament Sutra” (skt. Avatamsaka, ch. Hua-yan, jp. Kegon Sutra; sometimes known as “Garland Sutra” or “Wreath Sutra”). It is a massive religious text and largely unknown to rank and file members though it has had great influence in Mahayana Buddhism in all schools. In China there are several versions which vary in size. However, in English the Sutra has been translated by Thomas Cleary, reaching 1,600 pages in 39 chapters. In Mahayana Buddhism this Sutra purportedly records the teaching of Buddha Sakyamuni given immediately following his enlightenment. (In Theravada tradition there is the first sermon of the Buddha given at Benares which summarizes the basic principles of early Buddhism.) In the Mahayana T’ian-t’ai (jpn. Tendai) teaching in China and Japan there is said to be five stages in Buddha’s teaching career. The spiritual principles and philosophy expressed in Buddha’s enlightenment, presumably recorded in this Sutra, were too difficult for ordinary people to comprehend immediately. Consequently, the initial teaching, represented by this Sutra was set aside and Buddha commenced teaching more elementary principles and concepts of Buddhism such as the four noble truths and eightfold noble path. The Buddha gradually led his disciples to ever more profound teachings until the meaning of his original teaching could be shared. Essentially the T’ian-t’ai teaching offers an educational theory of graded or gradual learning which provides teachings according to the spiritual capacity of the hearer, guiding them to ever deeper understanding. This is the basis for the practice of Upaya (jpn. Houben) or teaching by compassionate means. Essential to understanding this text is the transformation of the concept of Buddha within Mahayana Buddhism from a discrete historical person to Buddha as inconceivable cosmic reality, which manifests in all forms of being in nature and the universe. Buddha’s enlightenment is discernible in the drive within sentient beings for deeper and deeper spiritual growth and fulfillment, that is, the drive to become one with reality. An aspect of the teaching in the Sutra is that the search for enlightenment is itself the indication that enlightenment is already actively present within us. What we seem to be striving for on our own is already given in our striving. In effect we do not gain enlightenment which we could not know even if we gained it. Rather, it is because of enlightenment that we are striving. This understanding is what other traditions, such as the Pure Land, and teachers, particularly Shinran, call Other Power. In other words, what we aspire to as our goal is itself the motivating or operating source in our spiritual engagement. Enlightenment realizes itself. In Dogen, the practice of Zazen is within the enlightenment of the Buddha and is itself an expression of enlightenment. As we all live within the cosmic reality of the Buddha’s enlightenment, everything we contact or experience becomes an avenue to realize enlightenment in one’s own life. This perspective inspired the understanding and pervasive awareness in Asian religion and philosophy that “the one is all and the all is one.” It grounds its grand vision of the oneness, mutual inclusiveness or complementarity of all things. Perhaps one of the most outstanding expressions of this in art is the portrayal of Sudhana’s Quest in the carvings at the great temple of Borobudur in Java in Indonesia, as well as the image of the Great Buddha of the Todaiji Nara, Japan in the 8th century. Here the Buddha Vairocana, the Great Sun Buddha, backed by the myriad manifestations of buddhas, is the primary Buddha in the Sutra, symbolizing the entire universe as the Reality-body of the Buddha. This vision of oneness is exhibited in the cosmic diagrams (mandalas) of the esoteric tradition. The image of the Great Sun Buddha (skt. Mahavairocana, jpn. Dainichi) in the Todaiji in Nara was also politically significant in Japan. It furnished the symbolism of the unity of the people beyond the tribalism of the earlier religion, when it was dedicated by Emperor Shomu in 740. As we have indicated, Buddhism attempted to convey its vision of oneness and interdependence through many types of stories and symbols. Among the stories recounted in the “Flower Adornment Sutra” is that of Sudhana (Good Wealth), the son of a merchant, whose spiritual search for Enlightenment offers an example of the serious pursuit of truth that should motivate everyone’s quest. Sudhana sets out on his journey alone, suggesting the personal and sometimes lonely nature of the search for truth. The story appears in chapter 39 in the text: “Entry into the Realm of Reality” (skt. Gandhavyuha). This section takes up 400 pages in translation. It shows that all our experiences are opportunities for learning about ourselves or about the world we live in. Through such a quest we can fulfill our personal and spiritual potential. Along this same line the text describes Indra’s (king of the gods in Indian mythology) Net where at each node there is a diamond reflecting all other diamonds, expressing the interconnectedness, interdependence of all things, and mutual interpenetration of all things (Oneness). Another important chapter of the Sutra is the “Ten Stages Sutra” in chapter 31 which outlines the stages in the formation of a bodhisattva (Buddha-to be). 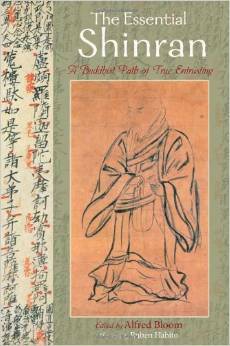 Also chapter 38 contains a summary of Mahayana Buddhist teaching. Sudhana was motivated to seek enlightenment by Bodhisattva Manjusri, the Bodhisattva of Wisdom. He asks Manjusri how he can attain wisdom and help enlighten others. Manjusri tells him to seek out good friends and that he must not become lax or weary in seeking good teachers. Even when encountering a good teaching and being satisfied, he must not stop. Rather, he must practice the master’s instruction. Sudhana makes vows to become an enlightened and enlightening person. Impressed by his sincerity, Manjusri sends him to another teacher. The next teacher is the monk Cloud of Virtue who relates to him all he knows concerning the conduct of a Bodhisattva and then, reaching the limit of his knowledge, sends Sudhana to the next teacher. Thereupon Sudhana sets out on the path, encountering altogether fifty two teachers, including many types of people without consideration of class or status: women and men, laypeople and priests, beggars and kings and queens. For example, Sudhana learned about the sea from a fisherman; from a doctor he learned compassion for the ill. A wealthy man taught him frugality, while a monk taught him how to attain peace through meditation. A disabled person taught him patience and he learned simple happiness from children at play or from plain, humble people. He learned harmony from burning incense or seeing flower arrangements. From nature he observed a plant growing from a decaying tree, revealing the uncertainty of life. He gained spiritual renewal from sunlight by day and the stars by night. Near the end of his pilgrimage, Sudhana meets Maitreya Bodhisattva who is considered in Buddhist mythology to be the next Buddha. In the course of his encounter with Maitreya, Sudhana sees Indra’s Net with it totalistic, holistic grasp of universal reality. His final encounter is with the Bodhisattva Universal Virtue (skt. Samantbhadra, jpn. Fugen). This bodhisattva instructs Sudhana that the only purpose of wisdom is that it should be practiced and shared for the benefit of all sentient beings. In accordance with this principle Samantabhadra makes ten vows leading to Buddhahood. These include: worship and dedication to the Buddha; repentance for one’s evil and rejoicing in the virtue of others; to follow the Buddha, remaining in the world to teach others; bringing benefit to all other beings, turning one’s merit over to them. The ultimate meaning of religious faith is how it benefits others. As a friend related to me recently, the issue of Buddhism or religious faith is not to discover the meaning of my life, which is essentially impossible, but how can I make other people’s lives more meaningful? This is what Bodhisattvas discover as they begin to seek enlightenment first for themselves, but in the course of practice find that it cannot be attained without sharing it with others. It is interdependence at work. Sudhana’s quest is the quest of every person seeking the fulfillment of his or her life. It is very common that people describe their faith as a Way or Path. While we are all attracted to the goal, it is really the journey on the path that really counts. Accordingly it is said: “All of life is a journey which paths we take, what we look back on, and what we look forward to is up to us. We determine our destination, what kind of road we will take to get there, and how happy we are when we get there.” Sudhana’s pilgrimage or quest instructs us that in the final analysis the quest is personal and undergone by oneself. It cannot be someone else’s. It teaches that we must be open to insight from all sources and not be guided by preferences or prejudices. At the same time, we realize that no one person embodies the whole truth itself. The quest is not merely for specific information but for the realization of the truth that transforms our life and enables us to see beyond the limitations and concerns of the moment, a truth that both engages and embraces our whole being and the world live in.